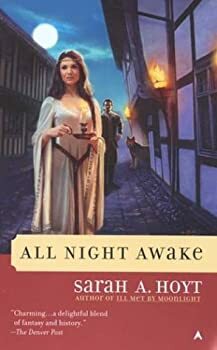 Sarah A. Hoyt was born in Portugal and learned to write with a quill pen in her village school. She penned her first “novel” with ballpoint at around the age of six. And since it was pretty easy — all twenty pages of Enid Blyton rip-off — she decided to become a novelist. She now lives in Colorado with her husband, her teenage sons, and cats. Learn more at Sarah A. Hoyt’s website. Shakespearean Fantasies — (2001-2003) Publisher: A world not of this world but in it-where a transparent palace hangs suspended in mid-air and tiny fairies twinkle here and there…where a traitorous king holds court before elven lords and ladies… and where fantastical tragedies and capricious romances reach out to entangle mortal souls… Enter: William Shakespeare. 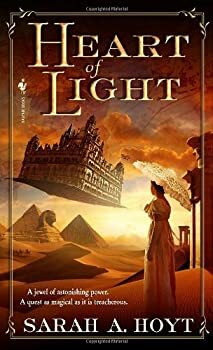 This enchanting fantasy debut begins with the disappearance of young Will Shakespeare’s wife and newborn daughter-a mystery that draws the Bard into a realm beyond imagination… and beyond reality. Held captive by the devious ruler of the elves and fairies, Shakespeare’s family appears lost to him forever. But an alluring elf named Quicksilver takes a fancy to Shakespeare-and sees a chance to set things right. Can a mere schoolteacher win his wife back from a king? Or will Shakespeare fall prey to his own desires-and the cunning schemes of the unpredictable elf? Will has an agenda as well; his wife has been kidnapped by the aforementioned usurping king, to be a nurse to the king's daughter. Worse, the king eventually plans to make Anne his new queen. Will must save Anne from the faery kingdom before it's too late. I wasn't expecting a sequel to Ill Met by Moonlight. That novel was complete and satisfactory in itself, so the appearance of a sequel came as a pleasant surprise. Unfortunately, I didn't like All Night Awake quite as much as Ill Met by Moonlight, for several reasons. First, the metaphysics were more confusing than in the first book. Second, the constant use of Shakespearean quotes gets a little heavy-handed from time to time. 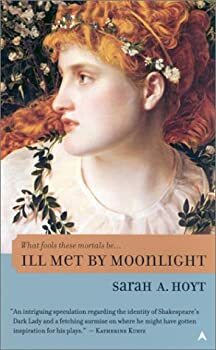 Third, this book doesn't stand on its own as well as Ill Met by Moonlight; it would make no sense without the first volume and too obviously sets up the third. 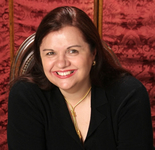 Known for her diversity, the Portugal-born Sarah A. Hoyt has written dozens of short stories and several novels including the Shakespearean Fantasies series, the Musketeer Mystery books, and the Shifters urban fantasy series. She has also written a historical romance under the pseudonym Laurien Gardner, a collaborative novel with SF author Eric Flint, and co-edits the forthcoming anthology Something Magic This Way Comes (below). Shifters — (2006-2014) Publisher: Every one of us has the beast inside. But for Kyrie Smith, the beast is no metaphor. Since she was 15, when she first shape-shifted into a savage, black panther, Kyrie has questioned her humanity. Although she’s managed to keep her inner beast secret most of the time, the panther occasionally emerges to strike unbidden. Terrified she’ll hurt someone while in panther form, Kyrie moves from town to town, searching for a way to feel human again. Kyrie’s lonely life changes forever while waitressing at a cheap diner in Goldport, Colorado. Investigating frantic screams from the parking lot, Kyrie stumbles upon a blood-spattered dragon crouching over a mangled human corpse. The dragon shape-shifts back into her co-worker, Tom, naked, dazed and unable to remember how he got there. Thrust into an ever-changing world of shifters, where shape-shifting dragons, giant cats and other beasts wage a secret war behind humanity’s back, Kyrie may find the answers she seeks — with help from Tom, a mythical object called the Pearl of Heaven, and her own inner beast. Wings — (2008) Publisher: Eighteen finely crafted tales of Fantasy and Science Fiction by the author of Ill Met In Moonlight and Draw One In The Dark. Some of the outstanding stories in the collection are “Titan,” a tale of young Leonardo Da Vinci finding his genuis through ancient gods; “What She Left Behind,” Pedro finds he is born of the fairy, but has to choose between the mortal realm, and the enchanted land of fairy, “Wings,” an artist with severed arms makes the long trip up a jagged mountain to die by the hooves of flying horses, “Sugarbush Soul,” Madrastan sugar is the most powerful drug selling on Earth, but can Lindy stop the drug from being transported to Earth? These and many other entertaining stories await you from the imagination of Sarah A. Hoyt. CLICK HERE FOR MORE BOOKS BY SARAH A. HOYT.